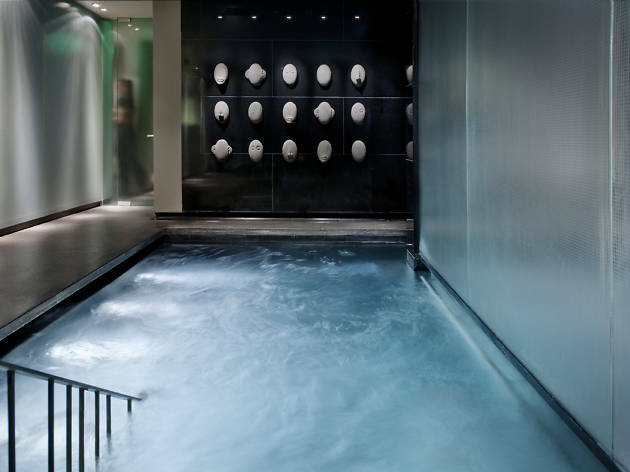 With London’s ever-temperamental weather, knowing there’s a luxurious spa attached to your hotel where you can chill out is a huge bonus. Need to escape from the rain? Relax in the hot tub instead. Tired from walking around and sight-seeing? Why not book yourself in for a massage? 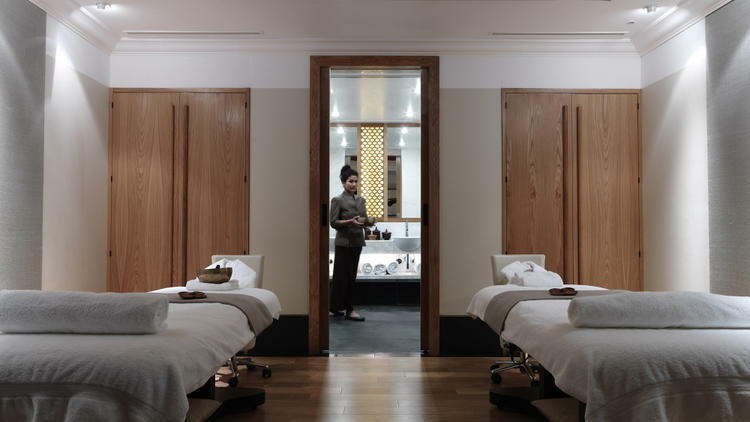 London is great for many reasons, but it can be just a little bit exhausting – pause to unwind in one of these ace spas with our cherry-picked list. 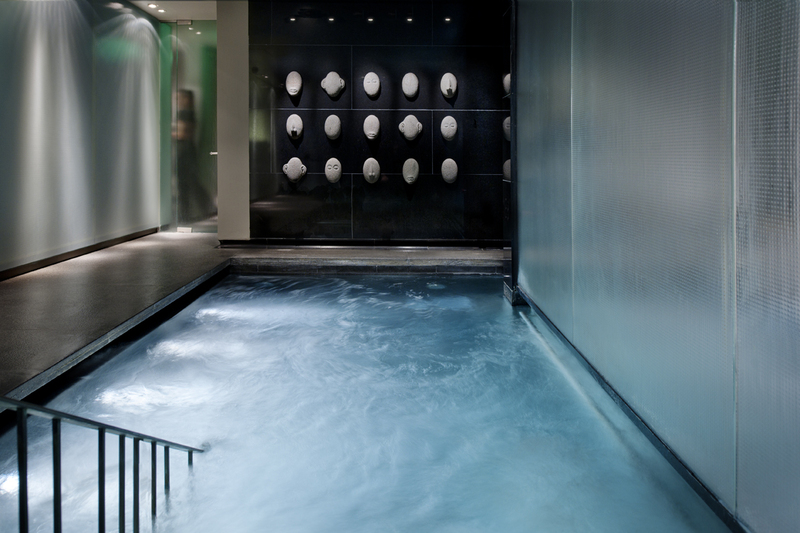 These excellent London hotels all have their own distinctive on-site spas. 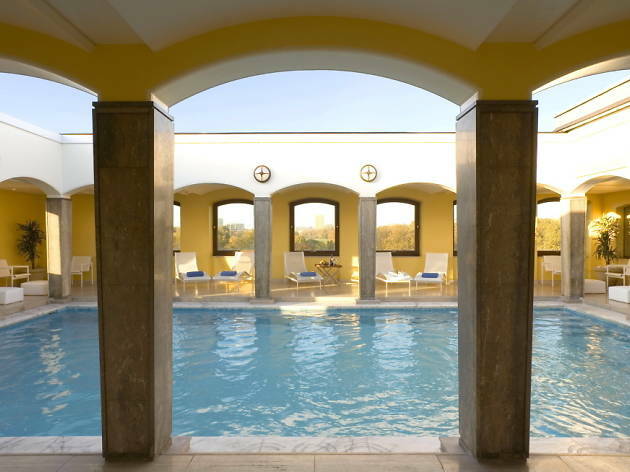 Fancy a hammam treatment, or a few relaxing lengths in the pool? There’s a place to stay here which can provide just that. So if you're planning a hectic trip checking out some of London's quirkier attractions or very best shops, make sure you get yourself booked in to one of these simply divine hotels. 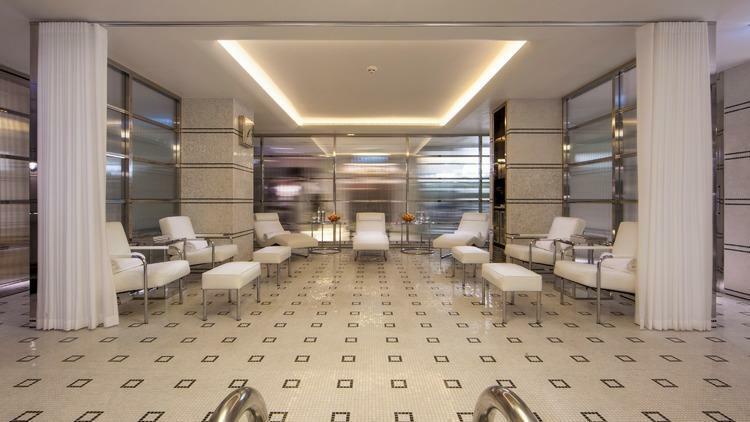 One of the swishest hotels in the capital, with its American Art Deco vibe throughout, The Beaumont exudes the hedonistic and sophisticated essence of the roaring ’20s. Dimly lit bars, acres of maple furniture and a gallery’s worth of art – it’s smart, unpretentious and positively plush. 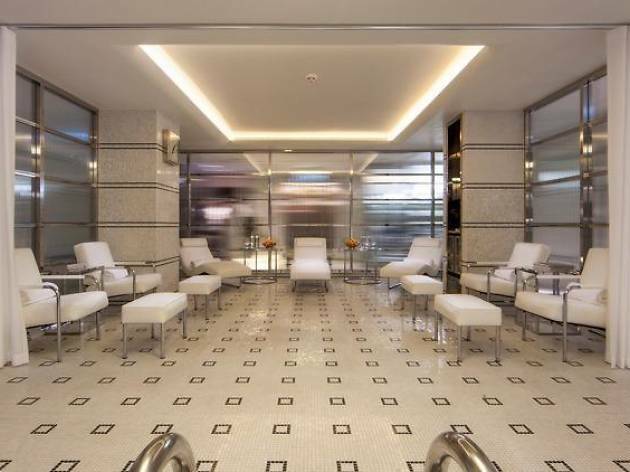 The small but perfectly formed spa in the basement of this bijou hotel makes for a very fancy central London chill-out spot. But that’s not all: it also boasts one of the only Moroccan hammams in London. 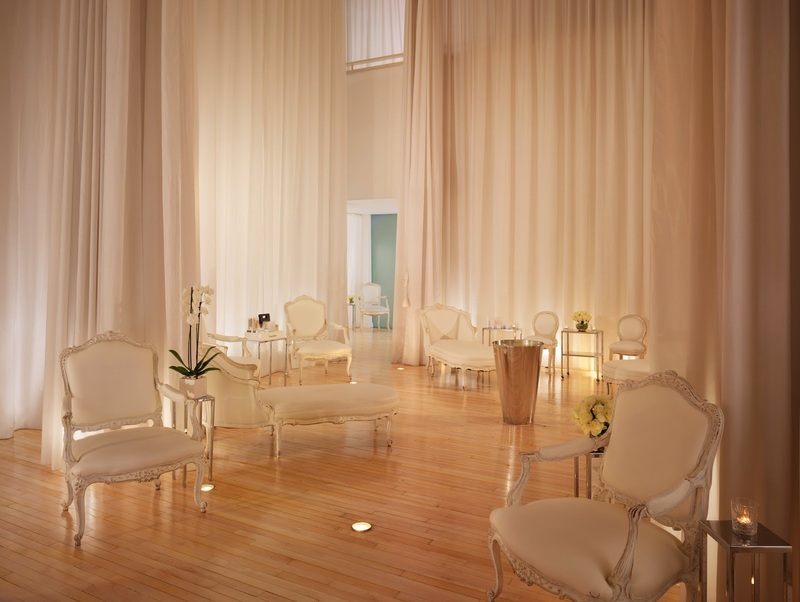 So as you’d expect, Hammam treatments with a massage are one of the spa’s specialities. Bliss. A short walk from the Tate Modern, this hotel sits conviniently along the Southbank, giving it one of the best locations in the city. And with interiors conceived by the Tom Dixon – you know, him of all the glorious shiny things that you want to fill your home with – it’s also kitted out with one of the sleekest looks around. Beautiful throughout, its impressive spa with central copper drip sculpture is an incredibly instagrammable spot to wind down. We’d recommend the signature mud cure treatment for a full-body exfoliation in a traditional Turkish bath. Once government office, now a seriously-swanky hotel, the Corinthia is one of London’s swishest places to lay your head. What are it’s credentials? Well, have you seen the size of the chandelier in the lobby? It’s pretty much the size of the moon. 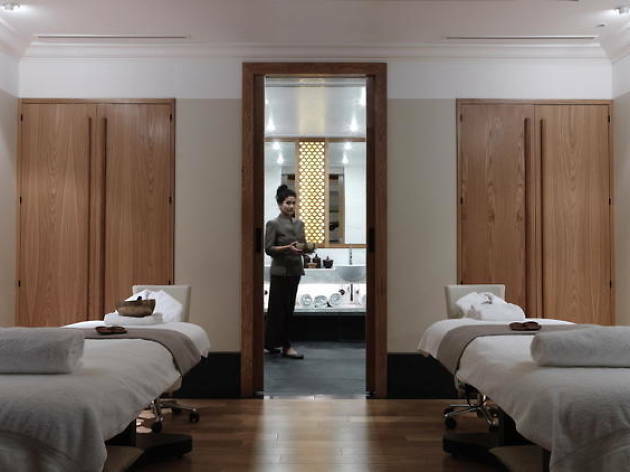 And despite its central location, it boasts a beautifully calming spa which, being windowless, is the perfect place to close the door on the hustle and bustle of London. 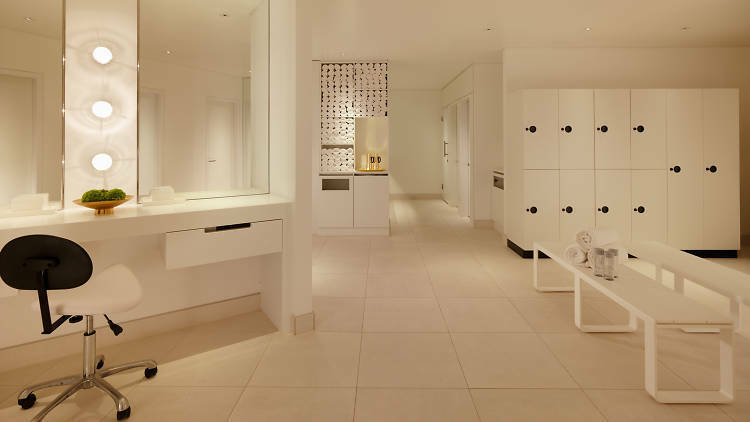 The space has 17 treatment rooms, an ampitheatre sauna, an indoor pool and vitality pool, a Daniel Galvin hair salon and a Margaret Dabbs nail salon. Crikey! 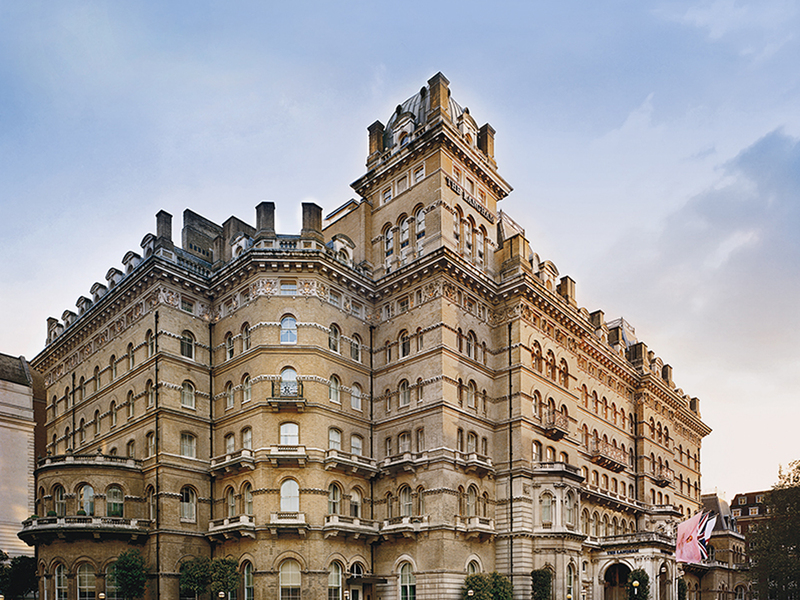 What was once the drinking den of H G Wells, Oscar Wilde and Arthur Conan Doyle is now a sophisticated five-star hotel. 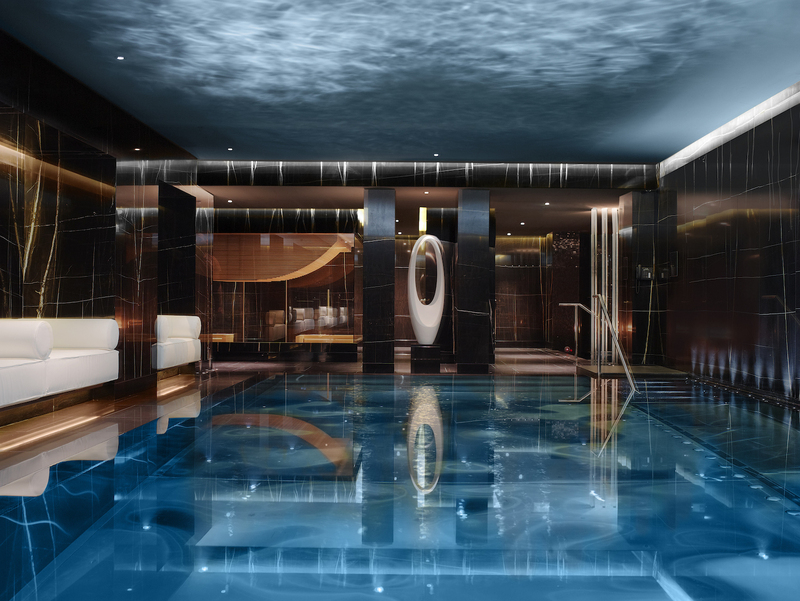 Combining an olde worlde opulence with its illustrious history, this swish spot also touts a pretty perfect spa which is home to the capital’s only dedicated Watsu pool. What’s a Watsu pool? 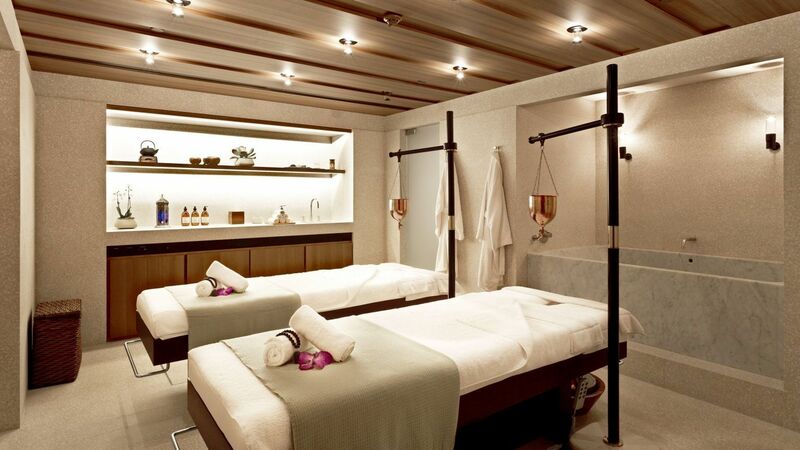 Sister to hydrotherapy and thalassotherapy, Watsu is a gentle form of body therapy performed in warm water. 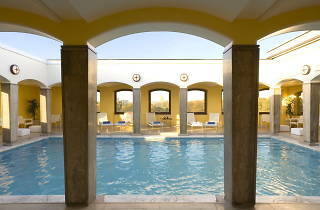 At the centre of the spa you’ll find a stunningly lit 18m pool with a sauna, Jacuzzi and plenty of recliners. The treatments list is pretty luxurious, too. 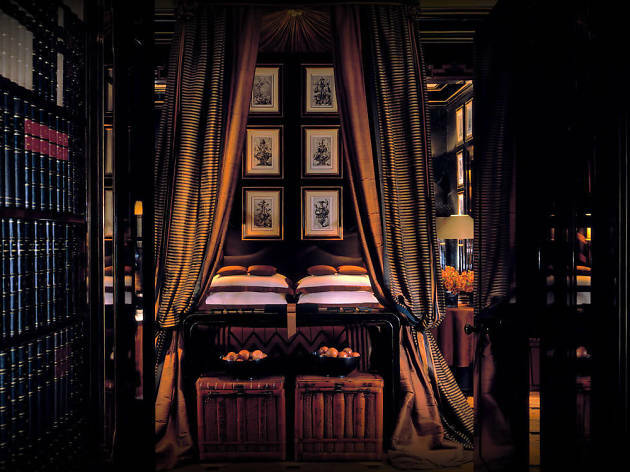 Once a private members club for very well-to-do gentlemen, the Mandarin Oriental is one gobsmacking building. After reopening its grand doors to the public in 2000, with a new set of owners, it retains the now-listed marble which coats its impressive interior. 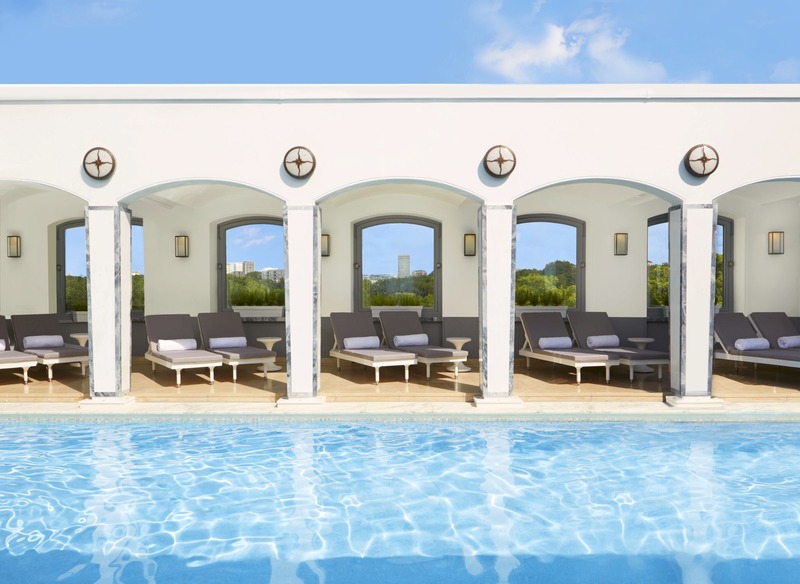 With rooms overlooking Hyde Park and boasting a parkside royal entrance, former guests have included members of Japan’s Imperial family and the legendary Joan Collins. 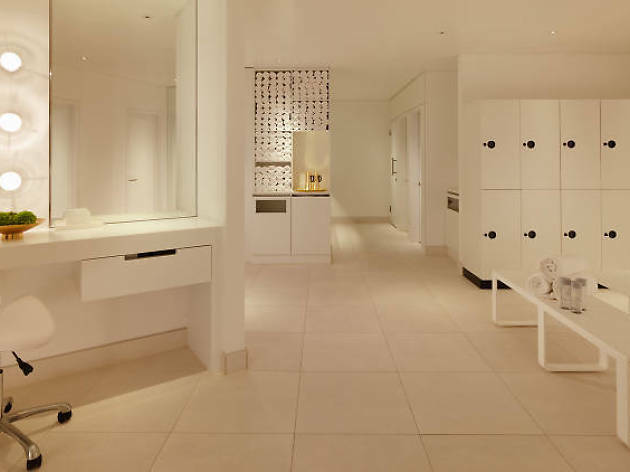 Its fitness and wellness centre is complete with PTs and a full-sized swimming pool if you fancy doing some lengths – but you’ll find us hanging out in the amethyst steam room before reclining in one of the treatment rooms for an oxygen-boosting facial. This innovative boutique hotel lies just a two minute walk from the bustling streets of Oxford Circus, but the hotel's interiors remain cool and classy, and its 10,000 square foot Agua Spa is simply brilliant. Almost dystopically white inside, with swishing curtains and a relaxing atmosphere, it’s a pretty ideal spot to unwind after a tiring afternoon of shopping. The Bamford Haybarn Spa atop Knightsbridge’s Berkeley hotel is a destination in its own right (have you seen the rooftop pool?). 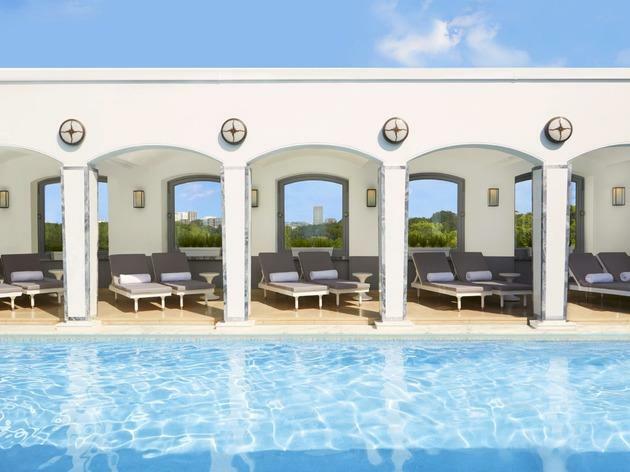 Factor in champagne-infused body wraps and spectacular views over Hyde Park, and it makes for a luxurious day trip. There's even a secret rooftop garden. Its handy location close to some of the city's swankiest shops means it’s is the perfect hotel to stay during London's glorious (if somewhat unpredictable) summer. Slap-bang in the centre of London, this swish Victorian hotel has had everyone from Oscar Wilde to Princess Diana sleeping in its super-high-thread-count sheets. 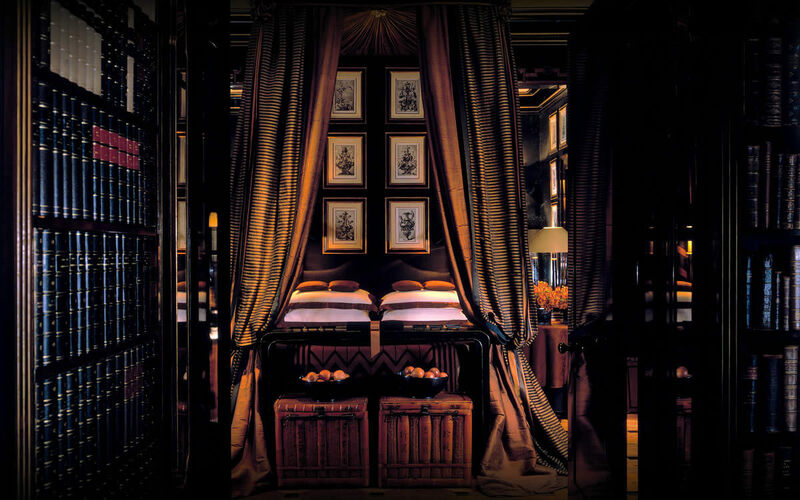 One of the most iconic hotels in the capital, it hosts a suitably swanky spa whose underlying philosophy is based on Chinese medicine. 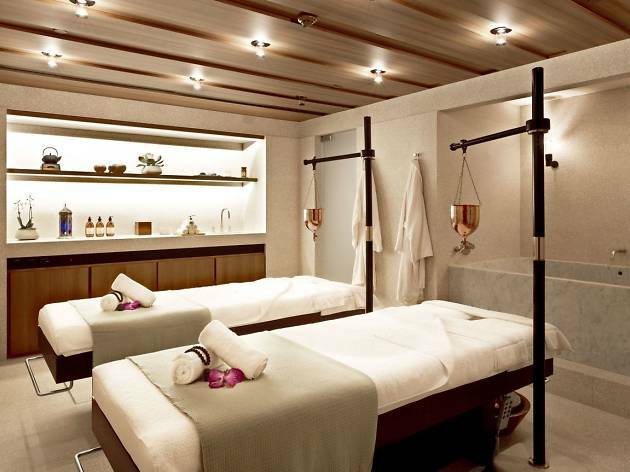 Factor in a well-equipped gym, a sunken swimming pool, heated lounge chairs, and a Himalayan sea salt sauna that glows with a warm orange hue, and it's a one-stop shop for all your health and wellbeing needs. More than 100 years old and set in leafy Mayfair, this is a very British affair; the butlers are even trained in shoe care by the expert cobblers at John Lobb. And if you’re looking more tired than your loafers, this super-smart establishment also offers its very own lovely Aman spa, which comes complete with one of the sleekest-looking swimming pools in the capital. As well as a waterfall, naturally. Choosing the best romantic hotels in London was never going to be an easy task. We defy anyone to walk across Waterloo Bridge with your beloved by your side and not feel your heart glowing. The city really is one of the best places on earth to be loved up, especially if you pick a hotel where there’s champagne on arrival, breakfast is served in bed and the views will make your hearts soar.